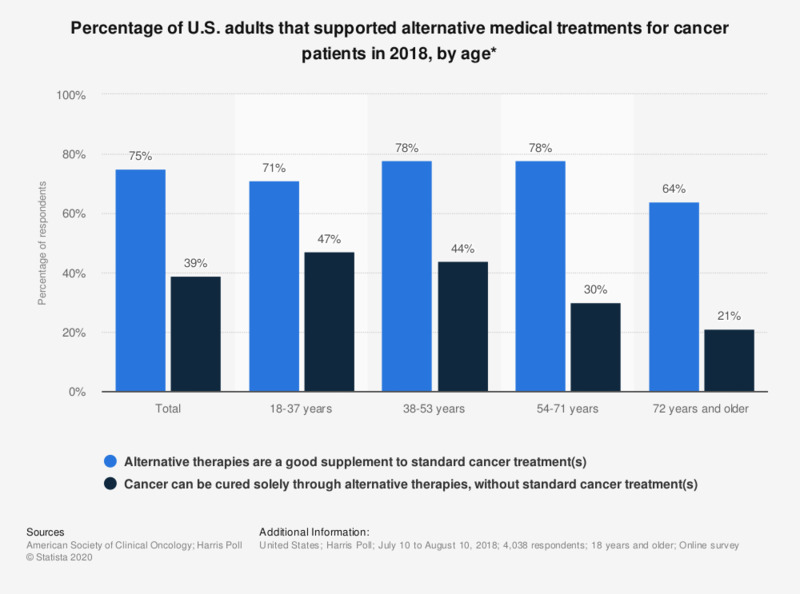 This statistic shows the percentage of U.S. adults that had select opinions on alternative medicine treatments for cancer and other patients as of 2018. According to the survey, in total, 75 percent of respondents said alternative therapies would be a good supplement to standard cancer treatments. How often have you been to a chiropractor? Do you agree that you only see a chiropractor for neck or back issues? Do you have a good understanding of what chiropractors do?